Your weekly round-up of local news for 19 – 25 March. In a rather bizarre fashion the Oxfordshire Growth Board revealed the projects to be carried out in the first year of the Growth and Housing Deal recently signed by the Oxford/shire councils. The Oxford Mail had the story before there was anything on the Growth Board’s website, and before Councillors or County officers were informed. The Board has not actually met to approve the spending – they do that this week. It all seems a bit topsy-turvy. However, the good news (OK, some people may disagree) is that the Headley Way Access to Headington money has been more than covered, and work will start on the full scheme soon after Easter. It will run until about Christmas. The additional funding means that the crossing on the London Road by the bus gate at the end of Osler Road has been reinstated to the programme, although as plans stand at the moment it will amount to little more than a central refuge – no zebra or light controls for pedestrians. The County’s Access to Headington web page has a little more information. Elsewhere, the County has opened a consultation on its proposal to introduce double yellow lines for the entire length of The Slade on both sides of the road, with exemptions for loading and access to properties. Cyclists will hope this will help stop people parking on the nice new segregated cycle paths. The consultation page tells you how you can comment. Another theft of an upmarket car; this time a Mercedes stolen in Burchester Avenue, Barton, by a thief or thieves hooking the keys through a catflap. The two bus companies are having to adjust their services and reduce some frequencies to cope with traffic congestion in the city. The 8 and 9 services are among those affected. The changes come into effect from Sunday 8 April. A ‘fit trail’ was opened in Barton on Wednesday. Has anyone tried it yet? Once again Headington features in the shortlist for RIBA’s South Region Awards. 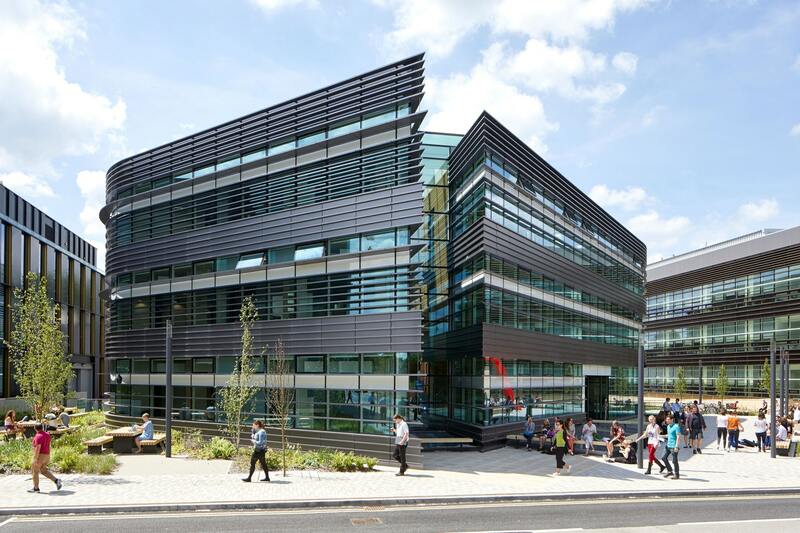 This year the Big Data Institute on the Old Road Campus is among five Oxford buildings shortlisted. It was designed by @MakeArchitects Make Architects. Builders Hill, they of @Mosaics_Oxford at Barton Park, have been awarded 5-star status in the ‘coveted’ Home Builders Federation annual customer satisfaction survey. The flats on the site of the old snooker club at the top of Windmill Road are being marketed by Keble Homes. It looks like they are only interested in selling to people who work at, or aspire for their children to go to, private schools in the area. The eagerly anticipated new magazine Headington Occasional (see last week’s HH) has launched a crowdfunder.